The steep trail through Schoolgirls’ Glen reveals much in its short length. The glen is a dramatic narrow valley in the most recent glacial moraine, with remnants of an earlier glacial deposit beneath. 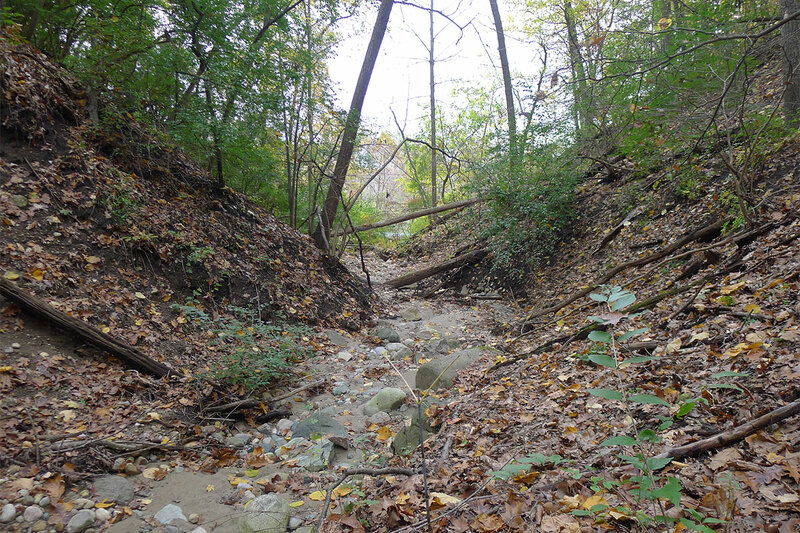 The current valley bottom shows severe erosion from street run-off. Even so, the glen is one of the best natural areas around. Destructive flash floods are caused by too much storm water—a consequence of little concern when campus expanded into this small watershed in the mid-20th-century. Erosion control is now an important ecological issue. Schoolgirls’ Glen is dramatic and intriguing year-round. Spring finds displays of native wildflowers such as trillium, while summer brings refreshing shade. Winter snows may block the trail, but when passable, the Glen’s tranquility and wonderland qualities are restorative. School Girls’ Glen is at the Nichols Arboretum site. 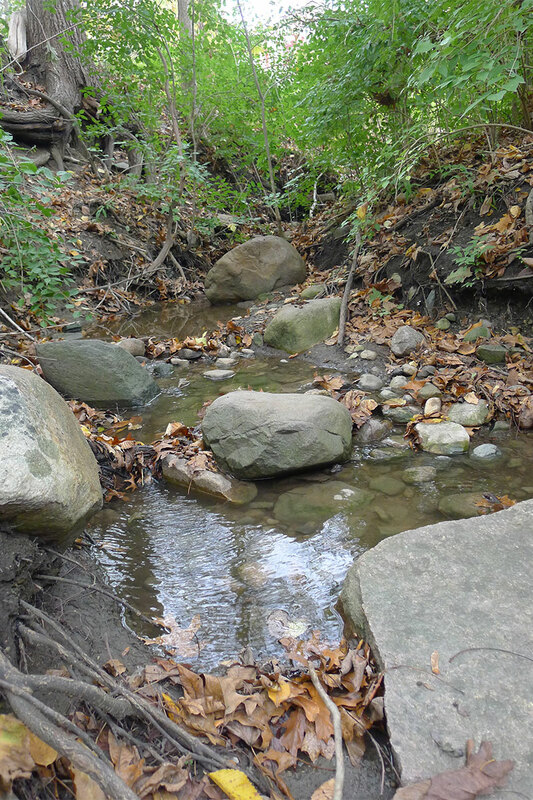 Working in partnership with the Huron River Watershed Council and with funding from the Great Lakes Commission and the LaCross Endowment, initial erosion controls were installed and educational materials were developed.